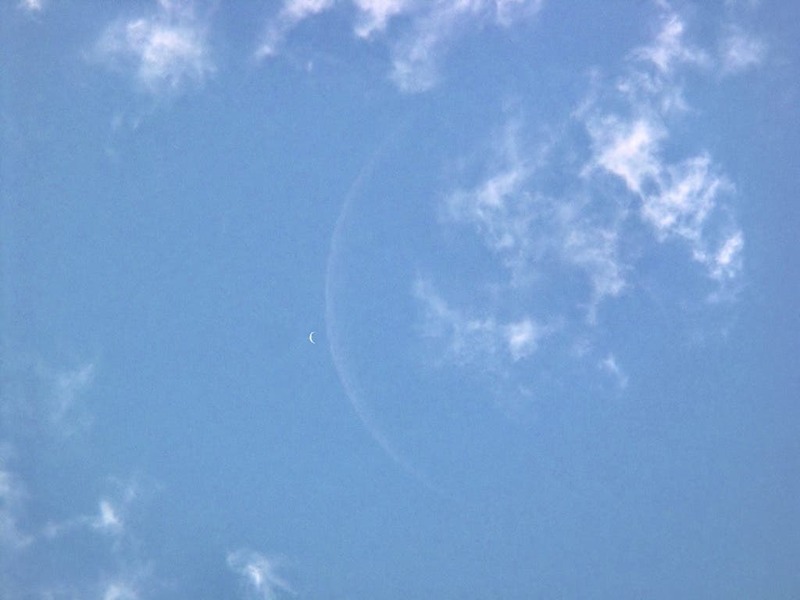 An awesome NASA image of Venus and the Moon. Newly discovered cliffs in the lunar crust indicate the moon shrank globally in the geologically recent past and might still be shrinking today, according to a team analyzing new images from NASA's Lunar Reconnaissance Orbiter (LRO) spacecraft. The LRO results provided important clues to the moon's recent geologic and tectonic evolution, which formed in a chaotic environment of intense bombardment by asteroids and meteors. These collisions, along with the decay of radioactive elements, dramatically heated the satellite. The moon cooled off as it aged, and scientists have long thought the moon shrank over time as it cooled, especially in its early history. The new research has confirmed relatively recent tectonic activity connected to the long-lived cooling and associated contraction and shrinking of the lunar interior. "We estimate these cliffs, called lobate scarps, formed less than a billion years ago, and they could be as young as a hundred million years," said Dr. Thomas Watters of the Center for Earth and Planetary Studies at the Smithsonian's National Air and Space Museum. While ancient in human terms, it is less than 25 percent of the moon's current age of more than four billion years. "Based on the size of the scarps, we estimate the distance between the moon's center and its surface shrank by about 300 feet," said Watters, lead author of a paper on this research appearing in Science August 20. The scarps are relatively small; the largest is about 300 feet high and extends for several miles or so, but most are shorter and heights are more in the tens of yards (meters) range. The team believes they are among the freshest features on the moon, in part because they cut across small craters. Since the moon is constantly bombarded by meteors, features like small craters (those less than about 1,200 feet across) are likely to be young because they are quickly destroyed by other impacts and don't last long. So, if a small crater has been disrupted by a scarp, the scarp formed after the crater and is even younger. Even more compelling evidence is that large craters, which are likely to be old, don't appear on top any of the scarps, and the scarps look crisp and relatively undegraded. Because the scarps are so young, the moon could have been cooling and shrinking very recently, according to the team. Seismometers emplaced by the Apollo missions have recorded moonquakes. While most can be attributed to things like meteorite strikes, the Earth's gravitational tides, and day/night temperature changes, it's remotely possible that some moonquakes might be associated with ongoing scarp formation, according to Watters.